Welcome back traders. It’s been another rough week in the trenches for crypto holders. The 20-25% drop, as bad as it was, seems more palatable when compared to last week’s flogging. BCHSV didn’t go down without a fight and indeed made a comeback earlier in the week. It has since receded, and the war looks to be over, for now. The good news is markets seem to have stabilised and found a new bottom, adding some comfort to the PTSD like flashback heart pangs when refreshing Blockfolio. On a more cheery note, the IR team have been busy touring the country over the past two weeks. 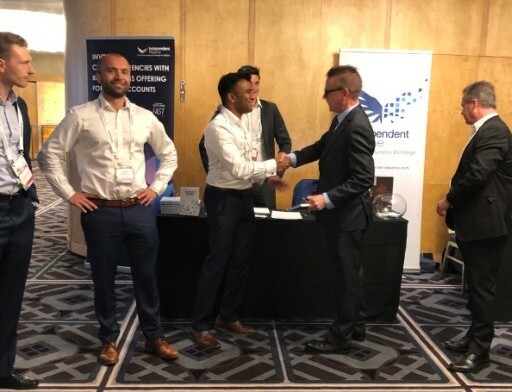 We were fortunate enough to attend the Sydney/Melbourne SMSF Adviser Summit. We chewed the fat with hundreds of crypto curious financial advisors and fund administrators, preaching the good word and gauging appetite for crypto as an investable asset class for SMSFs. With nearly 8,000 SMSF accounts on Independent Reserve, we know the demand is there. We just need to work on bridging the education gap at the advisor level. As part of our education drive, we were handing out a book written by one of IR’s founders – Adam Tepper – which describes the Bitcoin journey from day one. In many ways it felt like a religious mission, converting the traditional finance folk into crypto believers, handing out the good book that describes the genesis (block). It’s a great read for anyone wanting an easy to digest introduction to Bitcoin. Bitcoin closed the week down -22%,trading below AU$5,000 for the first time in 13 months. It was a similar story for ETH and XRP, both closing down around -27%. OMG was the worst performer, closing down -37%. As mentioned last week, exchange and OTC volume have spiked – ample liquidity and increased trade volumes have encouraged traders to take advantage of the volatile price action. In an article reported by Bloomberg this week, the U.S. Justice Department and the Commodity Future Trading Commission (CFTC) have combined forces to investigate Tether’s involvement in artificially pumping Bitcoin’s price during the mega rally of December 2017. The probe is supposedly looking at the creation/redemption of USDT tokens and Tether’s trading activity on the Bitfinex exchange. They want to know if Tether manipulated markets with trading tactics such as price spoofing and if they traded at opportunistic times when buying/selling Bitcoin to create/redeem USDT tokens. With the recent price drop, Bitcoin miners have been tested as their block rewards lose more and more value. Bitcoin hash rate has been falling in sync with bitcoin prices indicating that mining has become uneconomical for some and that they have ceased mining. There is a silver lining in that miners are forced to be more efficient to remain profitable at these levels. Ultimately this should foster a more robust network for when the block reward halves in 2020. Beginning this week, Ohio businesses can pay corporate taxes with crypto via BitPay. The initiative was implemented by Ohio state treasurer Josh Mandel, who has been a long-time crypto fan. Mandel sees the new program as adding convenience for taxpayers and at the same time signalling Ohio is a state that is open to crypto adoption. The highly anticipated, physically delivered Bitcoin futures platform was due for release in early December. An announcement this week confirmed the launch will be pushed back to January 24th. In addition, a new insurance offering for their warm wallet was also announced. Bakkt also hinted that it may consider listing digital assets outside of Bitcoin if the demand is there. Silvergate Capital, parent company for Silvergate Bank is preparing to list on the New York Stock Exchange to raise US$50 million (~AU$68.8million). Silvergate Bank has been somewhat of an industry standard for crypto banking. Whilst most banks looked at crypto businesses as the bad kid your parents always warned you about, Silvergate built a ridged screening process that found good quality crypto firms and banked them. Signing their first client back in 2014, Silvergate has amassed around 500 crypto specific clients and according to their IPO filing, generated US$1.7billion of non-interest-bearing deposits from its crypto arm alone. Many companies here in Aus are waiting for a local Silvergate equivalent to step-up and bank this industry properly.